Rise and Shine, its breakfast time! Hey all! Hope everyone has finally recovered from St Patrick’s Day! Saturday evening I went out and continued to celebrate my inner Irish, unfortunately Sunday morning I looked green for entirely different reasons. I sucked it up though and went to town for the perfect hangover cure,Wicked Willies breakfast! I chose the classic ‘rise and shine’ breakfast, and I was right, it cured my hangover! Over easy eggs, crispy hashbrowns, 4 pieces, count em, 4 pieces of bacon, and toast. It was perfection. Wickeds defiantly knows how to serve up the perfect breakfast! 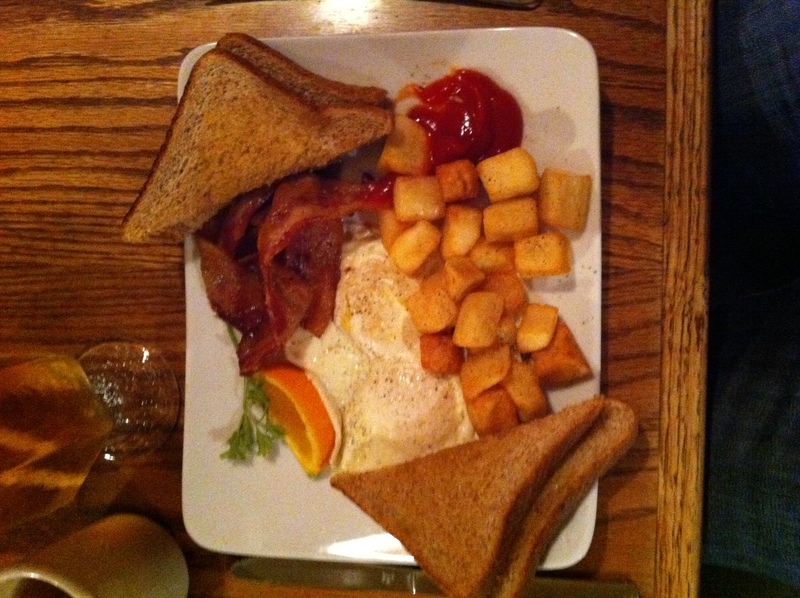 So next time you feel like a yummy breakfast and don’t feel like cooking, head up to Wicked Willies! The service was great, the food came quick, all in all a great place to go and enjoy breakfast!